How to disable right click on blog or website ? 1. Go to your blogger Dashboard and click on Layout. 2. Then click on Add Gadget. 4. Now Copy and Paste below code into it. 5. 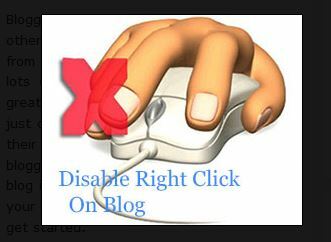 Now save it and you are done disabling right click on your blog. If you have any problem disabling right click on your blog or have any other question or suggestion then leave a comment below. I will be glad to help you. Don’t Forget to subscribe, +1 on Google+ and like us on Facebook.